Touring in support of their newest record, Burnt Offering, The Budos Band brought their own brand of distortion-laden Afro-soul to a packed Rex Theater on Saturday. The evening was to be a loud, boozy experience, melding stoned-out rock and roll with a bold brass element, and tying it all together with rhythmic bongos and psychedelic keys. Opener Electric Citizen brought enormous energy to the beginning of the evening, delivering loud rock with a retro feel. Organ-driven melodies swirled around fuzzed-out guitar lines as singer Laura Dolan, shaking and dancing, busted out some impressive vocals. 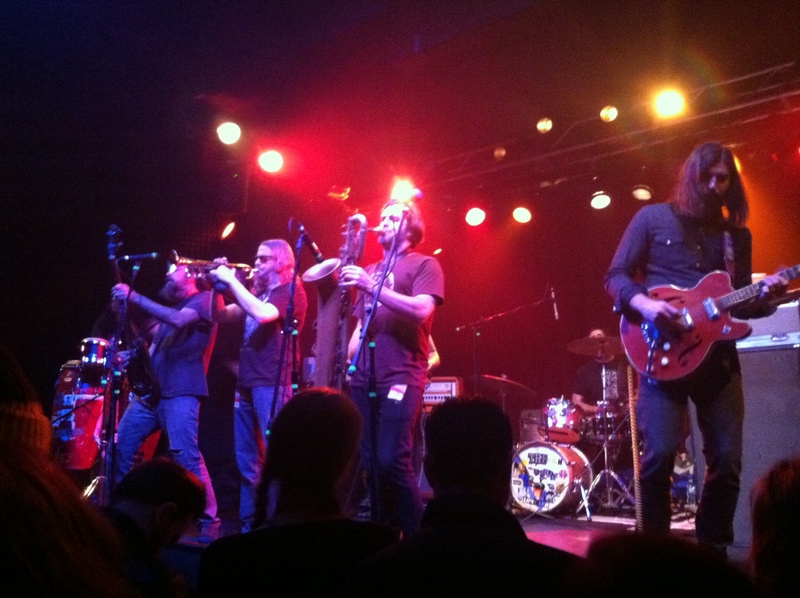 Members of The Budos Band were spotted rowdily singing along, appearing to be especially enthused audience members from their spot directly in front of the stage. 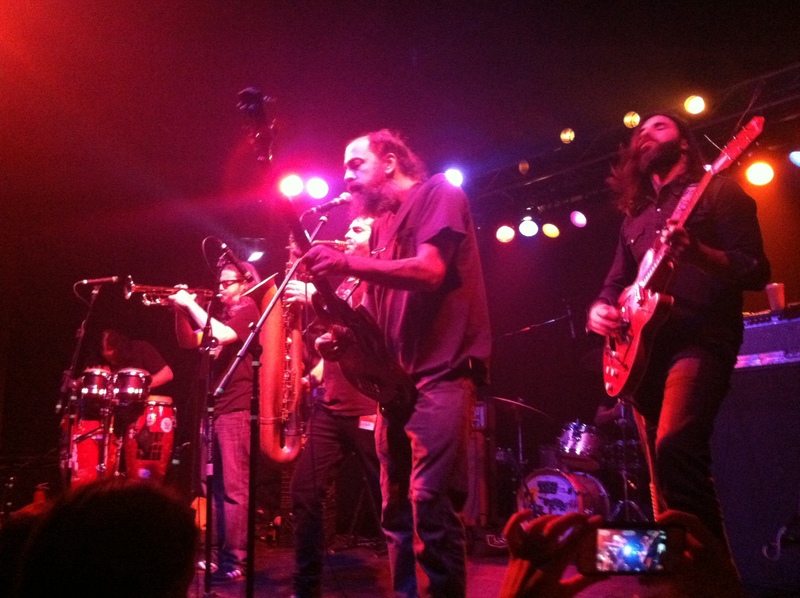 The members of The Budos Band filed onstage soon afterward, taking their places behind an array of instruments. They announced they were there for partying and mayhem, and launched into several songs from their newest album as well as a good helping of older material. It was clear that the band members were enjoying themselves, toasting stage-front audience members (and in at least one case, handing over a beer), encouraging the audience to make noise, and moving around the crowded stage to jam together. Or, in the case of the keyboardist, lugging a keyboard from its stand to the front of the stage in not one but two rockstar moments. The energy in the room was infectious, turning the front of the room into a constant flurry of motion as audience members danced along. The band returned for an encore following their set proper, prompted by an expletive-riddled audience chant led by one of the band members. A cover of “Immigrant Song” caused the audience to lose its collective mind, and a teaser for “You Keep Me Hangin’ On” by The Supremes acted as a surprising interlude. At the end of the encore, most of the band left the stage, knocking over a good amount of equipment, leaving their guitarist and bassist onstage to play them out in an evil-sounding wash of feedback. When they decided that they had made enough noise, they left the stage as well, the house lights coming up to reveal a mess of equipment and a thoroughly satisfied audience. Post and photos by Gesina Phillips.